Sheikh Ahmad Al Kabeer ar- Rifâi (AD1107-1183) was born on Monday in 27th day of the lunar month of Rajab 500. 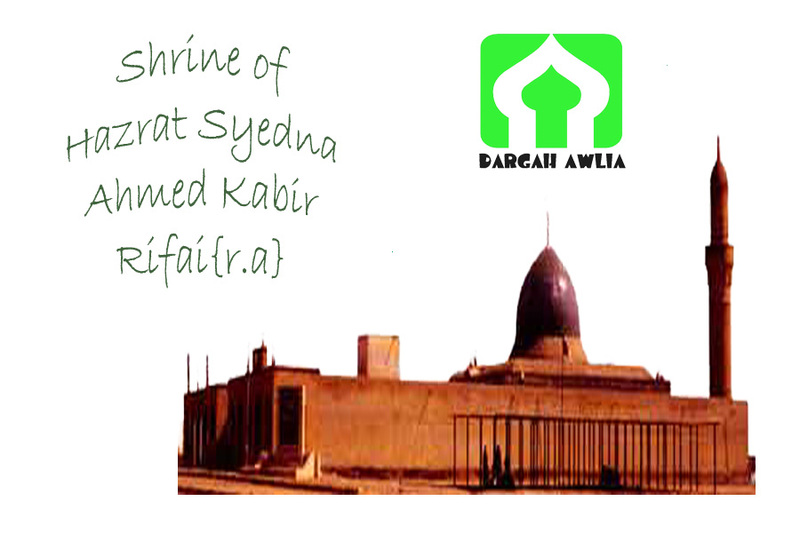 His birthplace was in the town of Ummu ubaydah (Hasen) in the township of Bathaeh at the Wasit province of Basra, Iraq. 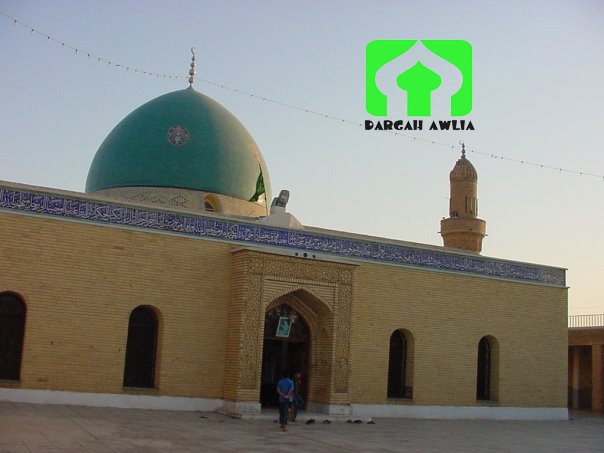 He passed away on Thursday, Jumada al-Awwal 12, 578 A.H. (1183 A.D.), in the town of Wasit, in Basra, Iraq. His father was Sayyid Ali Abul Hasan and mother was Fatima al-Ansari the daughter of Yahya Najjari. 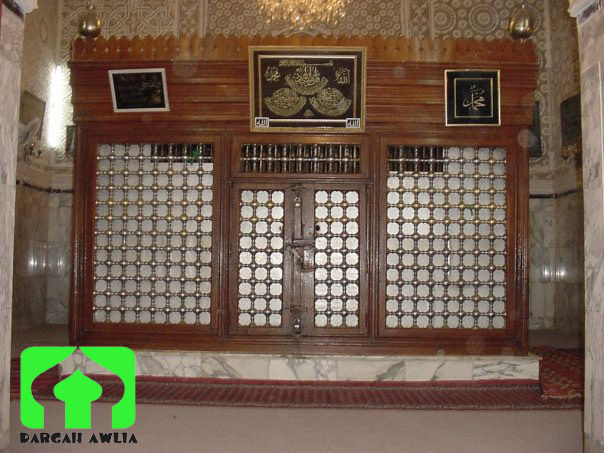 His Sheikh was Ali Al Wasiti. When he was seven years old, his father passed away in 507 A.H in Baghdad and buried there. Soon after, his maternal Uncle Sheikh Mansur ar-Rabbani took him into his care and educated him. Sheikh Ahmad Rifâi (R) memorized the holy Qur’an by the age of seven. In this year, after the demise of his father, his maternal Uncle Mansur al-Rabbani moved with his family to the region of Dikhla. There he sent his nephew to Abul Fadl Ali al-Vasiti, who was an expert in the canon law of Islam, a commentator of the holy Qur’an, and a great preacher. He occupied all his time with obtaining religious knowledge, and indeed Allah Almighty bestowed him the knowledge. In due course, even his own teachers and the people who taught him respect learned the essence of respect when they were in his presence. In addition to attending the Dhikr gatherings of his uncle, Sheikh Mansur ar-Rabbani, Sheikh Rifâi also attended the courses of his other uncle, Sheikh Abubaker, who was a great scientist of his era and the sultan of scientists. He eventually memorized the book Tanbih, which deals with the Fiqih (Islamic jurisprudence) of Shafi School according to Imam Abu Ishaq Al sShirazi, and wrote an explanation about the book. Sheikh Ahmed Rifai (R) has related to our Prophet (Peace and Blessing of Allah be upon him) through his father and mother sides by blood. His paternal lineage is as below. Sheikh Ahmad Rifai bin Sayyid Ali bin Sayyid Yahya bin Sayyid Sabit bin Sayyid Hazim bin Sayyid Ali bin Sayyid Hasan bin Sayyid Mahdi bin Sayyid Muhammad bin Sayyid Husain bin Sayyid Ahmad bin Seyyid Musa al-Thani bin Sayyid Ibrahim bin Sayyid Musa-al Qadhim bin Sayyid Jafr Sadiq bin Sayyid Muhammad Baqir bin Sayyid Zain al Abidin Ali bin Imam Hasan bin Ameer Al Mumineen Imam Ali bin Abu Thalib (May Allah Please with them. When Sheikh Ahmad Rifâi (R) was twenty years old, Abu Fadl Ali, who was the Sheikh of Wasit province and his teacher, awarded him a teaching certificate encompassing the sciences of canon law and permission to initiate a Sufi order, gave him the name “father of external and interior sciences,” and dressed him with his own Sufi’s cloak. His teachers and his sheikhs agreed about the greatness of his rank and the superiority of his worth. Sheikh Ahmad Rifâi (R) remained in Dikhla region for a short time and after that went back to his father’s guesthouse for travelers in Hasen. He became very well known. When he was twenty-eight, his uncle Sheikh Mansur (R) requested him to lead the Sufi lodge and Caliphs after him. He also instructed him to live in the Sufi lodge of Sheikh Yahya an-Najjari, who was his grandfather from his mother’s side. 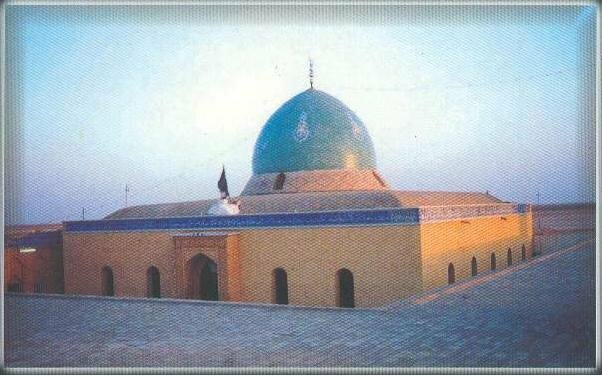 Sheikh Ahmad Rifâi took up his post (Sheikh ship) there as an enlightened master and began teaching in this Sufi lodge. By the time Shiekh Ahmad Rifâi (R) reached the age of thirty-five, his Murids (disciples) numbered over seven hundred thousand. Shiekh Ahmad Rifâi (R) taught the Sunnah (the way of the Prophet Muhammad (PBH)) and the details of the Qur’an to the public, and he always said that the trade of a wise man is to show the way that leads to Allah and to direct hearts towards Allah. He held courses on Hadith, Islamic canon law, religious precepts, and commentary of the Qur’an on all days of the week except Mondays and Thursdays. He sat in his pulpit on Monday and Thursday afternoons and preached to intellectuals and the public. Because of the depth and the influence of his words, the people were captivated, their intelligence was amazed, and their hearts submitted to him. Whenever he sat in his pulpit to give a lecture, crowds–including advanced scientists, preachers, spiritual teachers and the general public–gathered. When he began to speak, knowledge poured out with his words like the perpetual stream. Wise men became enthusiastic when they heard his beautiful and influential words and gave their ears to his extensive knowledge. The denying and obstinate were tongue-tied in the presence of the power of the evidence. Literary men profited from his outstanding expression, scientists from his skills and talents and philosophers from his deep and wise manner of speaking. Sheikh Rifa’i (R) has known as one of the four major Sheikhs of Thariqath (Aqthab al Arbaa, a Quthub of the time, not just of a local area). Another major Quthubs are Sheikh Abdul Qadir al Jeelani (R). Sheikh Rifâi’s talks, his actions, his behavior and his every breath were for the sake of Allah Almighty. He always had a smiling face, was modest and good-tempered, endured suffering, and was very patient. He did not get personally cross with anyone, and did not want any help for his own person. On the contrary, he loved for Allah, and even his anger was for Allah. He did not rebuke anybody who behaved in a manner that he did not like. He considered neither his family nor himself superior to other people. Speaking about this he said, “According to the Islamic law, everybody is equal to everybody else: it doesn’t matter if they are close relatives or if they are strangers to us.” The righteous people more are closer to Allah. Abu Musa al-Haddadi said that in the town of Haddahiyya there was a woman whose children were always stillborn. This woman said, if I have a child, I would give this child in the service of Ahmed Rifai. A few years later, she had a daughter who was hunchbacked and lame. Because of this, the other children in the village always made fun of her. One day, Ahmed Rifai was visiting this town and all the people went to the road to see him. The little girl threw herself at Rifai’s feet and cried out, “You are my mother’s Sheikh; please heal me from these problems!” and wept. When Sheikh Rifai saw her situation he cried as well, and praying over her, he placed his hands on her back and head. The girl’s back and leg were both healed. This is why, Ahmed Rifai is called the Father of the Lame. Hadrat Sayyid Ahmad ar- Rifâi used to advise people to guard themselves from overindulging in the things that are neither recommended nor forbidden by religious law, such as overeating and oversleeping. He used to recommend worshipping at night. He also used to recommend keeping away from people who do not know their limits, who behave in excessive manner, who see themselves as superior to others, and who argue with each other. He used to do his service by himself, repair his own shoes, and carry the firewood which was prepared for him to the houses of people who were sick, orphaned, fallen or without relations or friends. He was very kind and compassionate to orphans. He would cry for the poor, grow merry with their joy, and behave very modestly towards them. He considered himself as one of them. Hadrat Sayyid Ahmad ar- Rifâi was not inclined towards worldly things. He did not store any possessions at any time: although he had great wealth, he did not own more than two garments at the same time, either in summer or winter. His wealth was much more than the wealth of governors and famous rich men. He used to distribute his revenue to dervishes and to people who came to the dervish lodge. Upon his passing away, his possessions were given to the people.